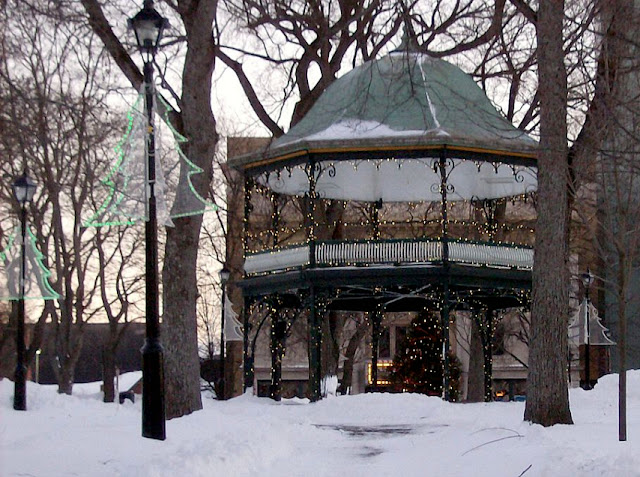 In the tranquil solitude of winter when the brass bands have tucked their instruments away from the cold, their bandstand remains as a testament to music, but not as the sole purpose of its existence, for as summer wanes and winter approaches, the structure is reclaimed for the holiday season which may even include a Christmas carol sing-a-long or two. 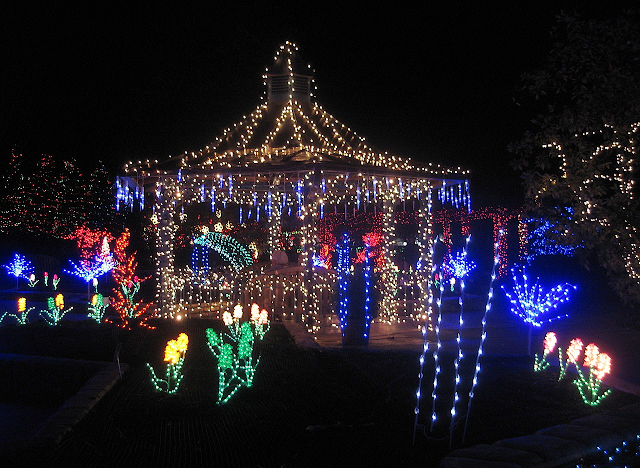 Decorating a bandstand or gazebo usually means greenery and most definitely lights. 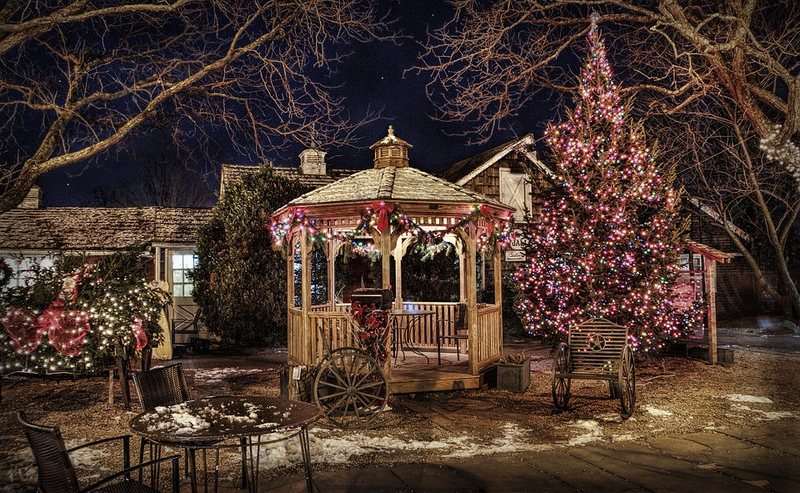 The personal gazebos found in yards, whether in the city or country, stand out among the myriad of lighted decorations at this time of year as an inviting place to sit and relax, like this western-themed gazebo in Wantagh, New York. If this next image of a double bandstand looks familiar it's because it was featured in my Oct 5 post of Bandstands with a Music Theme. Since the bottom level is a fountain in the summer, I can imagine skating during the Christmas season, but I doubt it would happen. Inviting damage from skate blades doesn't seem responsible after the enormous amount of money spent on its refurbishment. Still, I can dream. If you like your Christmas decorations to be chock-full of bright color, you might enjoy the seasonal display at Brookside Gardens, Silver Spring Maryland, where unique sculptures are the result of lighted botanical specimens. 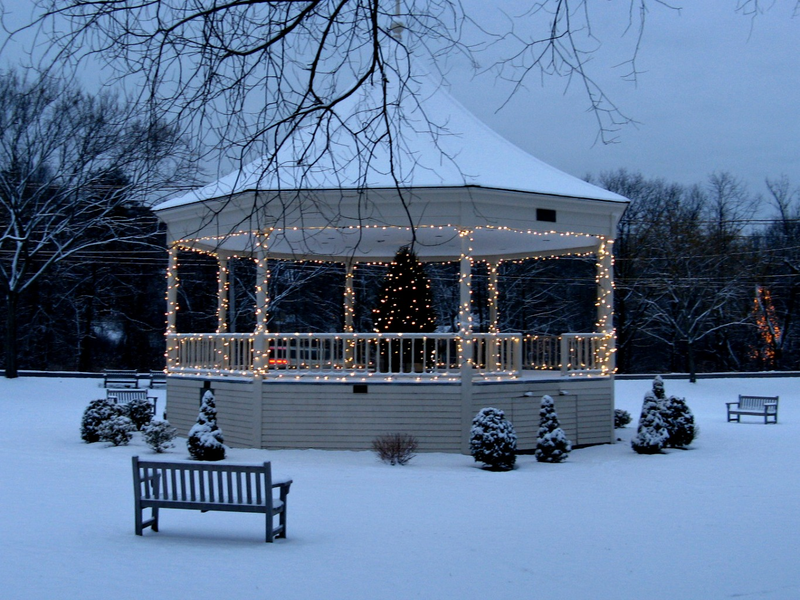 On the other hand, a historic wooden bandstand, decorated only with crystals of nature's snow, is a beautiful sight of tranquility during this hectic season. 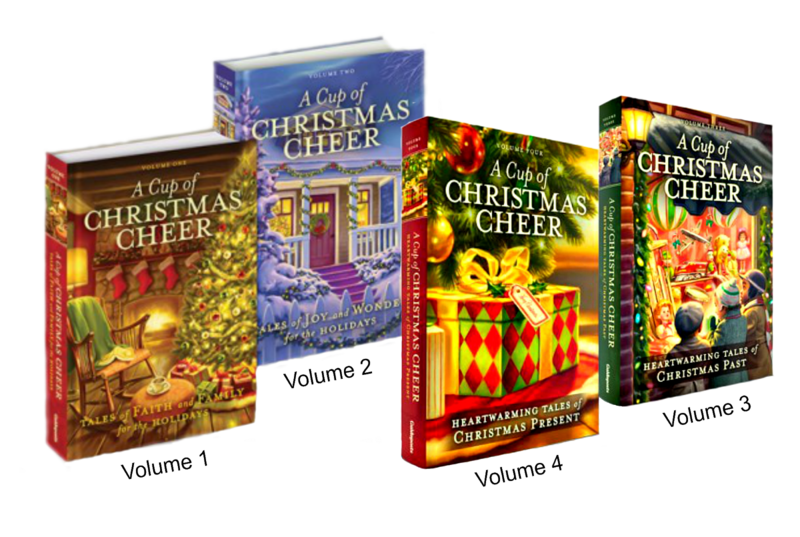 It waits, withstanding the wintry weather, knowing the cold season will end and warmth will bring the fun-filled days of summer back for another round. If you could have your pick, which of the above would you love to see when you look out your window, and why? If it were in my yard, the size of the Western-themed gazebo is perfect but lit like the MA one. I like simple. Of course if I got a gazebo, it would be equipped with mosquito screening. And I've always wanted one! Great idea to combine the two, Connie. I hadn't thought of that. Yes, I've always wanted one, too, although I have a screened porch so must count my blessings. I enjoy your visits, so thank you for dropping by. Great post! We have a bandstand in our town that is decorated for Christmas. My favorite is the two-level one. 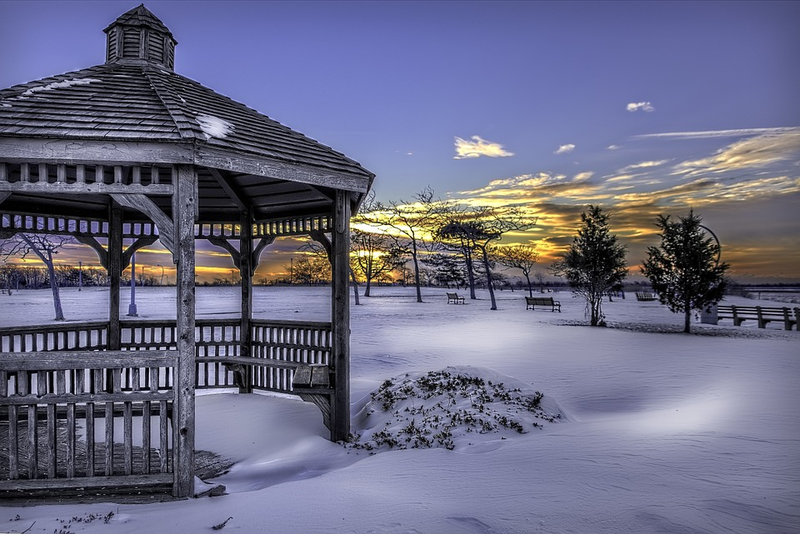 My husband and I saw a gazebo like that during our travels through Vermont. I know, eh. There are so many combined with holiday festivals out east but all of the images were copyrighted so I couldn't show them here. Thanks for letting me know of the one in your town. I love hearing that.